Whether organizing your own work –related move or organizing moves for employees that work for you, King’s Transfer can help. The staff at King’s Transfer have the training, equipment and experience to make corporate moves stress free and cost effective. If you are booking a corporate move call a King’s Transfer Move Consultant and find out how we can help you. Large or small offices can be moved with minimal disruption to work flow. We will work with your Company to ensure that your move is done efficiently and with the required flexibility in scheduling to have you and your business up and running quickly. Whether locally or across the country – King’s Transfer will get it done. 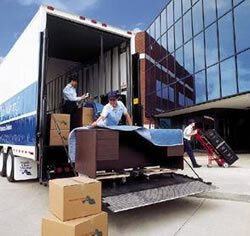 King’s Transfer can pack your items, move you in stages, over a period of time, or even move you after hours. If you are shipping commercial goods, either within the city or across the continent, King’s Transfer can help you with this too. Do you need regularly scheduled runs? Do you need blanket wrapped service? 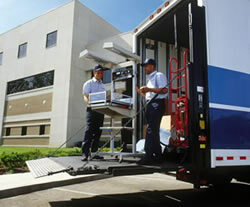 Are you on tight delivery deadlines? Is your move unconventional? Do you have special requirements? Do you need special insurance? Does your move require a crane? Talk to a King’s Transfer Moving Consultant to learn about how we can help meet any freight and special products shipping needs for your business. At King’s we have experience moving all sorts of unique items and working on strict schedules. Regardless of what you need, a King’s Transfer Moving Consultant will work with you to make it happen.